Joe Mesker in the 1950's. This photo is in an envelope labeled "Dearest Joe," which is probably my grandmother's handwriting. 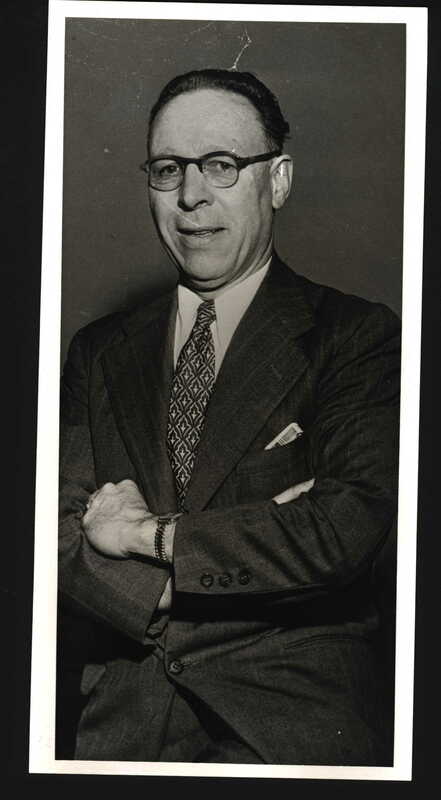 On the back of the photo, in the same handwriting, are the words: "Joe Mesker - Picture taken day he was hired as Purchasing Agent for Walter Johnson Construction Co."